What’s the Best Way to Transfer a Home Title to a Family Member Who’s Been Living in the Home? What’s the best way to transfer a home title to a family member who’s been living in the home? Hint: A quitclaim deed may not be sufficient enough. Q: Hi Ilyce and Sam! I have been a weekly reader and sometimes a daily reader of your column ever since you took over Robert Bruss’s column many years ago. In 2009, my wife and I bought a fixer-upper on the auction block in a small town in Alabama so my brother and his wife and son had a place to live. My brother is a darn good carpenter who went through this house several times and convinced me to buy it. And now my wife and I own it free and clear with only our names on the deed. We purchased it with a home equity loan against my current primary residence here in Maryland. We have never charged my brother rent. He lived there for free but paid the utilities, taxes, association fees, homeowner’s insurance and performed all the necessary repairs and maintenance. The intent was to eventually sell the house to my brother for only my out-of-pocket costs, including the interest I paid on the home equity loan. Any improvements to the home (there were many, all completed by my brother) were paid for by my brother and were his to keep. The house is now worth way more than what we paid and our out-of-pocket costs total about $75,000. My brother has paid me back the $75,000. Can’t I just add him and his wife to the deed and then my wife and I would sign a quitclaim deed, thereby handing ownership over to him? A: Thank you for being a loyal reader of our columns. The simple answer to your question is yes. The deal you and your brother struck seems to have been satisfied. Your brother paid you back what he owed. Now it’s time to sign over the property. We would have liked for you and your brother to have had something in writing detailing your relationship and the deal you both struck. We’re going to assume that you and your brother had a handshake deal for the home and that there no paper trail. This arrangement is similar to what some people would call a contract for deed or installment contract for deed. Now that your brother has done what he needed to do under the arrangement, you need to do your part. You and your wife own the title to the home and you can convey that title to your brother directly through the use of a warranty or quitclaim deed. Either document will be sufficient to convey your ownership interest in the home to your brother and his wife. While either form is sufficient, we have heard that some recorder of deeds offices or the office that accepts real estate documents for filing locally will not accept a quitclaim deed to transfer title. The only difference between these two documents is that the warranty deed affirmatively states that you own the home and are conveying your interest in the home to your brother and his wife. A quitclaim deed only says that you are conveying your interest in the home to your brother and his wife. 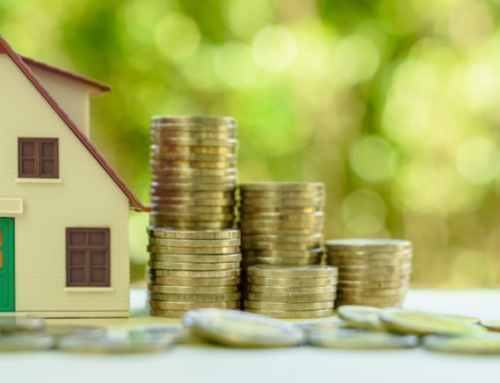 Because the quitclaim deed can be used when someone doesn’t have any interest in the home and is used to settle claims of interest and disputes, recorders and filing offices prefer to have warranty deeds for the transfer of ownership interests. You may need someone to help you draft the documents to make sure that your ownership of the property is properly conveyed to your brother and his wife. And, there might be other paperwork to file with the deed. You actually sold the home to your brother for $75,000 and any paperwork related to the sale may need to show that sales price. You and your brother may have some transfer taxes to pay and may have other paperwork to file relating to the sale. If it seems like too much to get done on your own, you can hire a title or escrow company or real estate attorney to help. Once you record the deed and other documents relating to the deed, you will have satisfied your side of the deal and your brother and his wife would end up owning the home. As a side note, we hope you’ve kept the paperwork on your costs and expenses relating to the home. The IRS will have an interest in taxing any profits you have made on the sale. You’ve indicated that your brother only reimbursed you for the costs so you shouldn’t have any profit or have to pay taxes on the sale of the home. On the other hand, now the home is worth a lot more than the $75,000 and the difference between it’s actual value today and the sales price can be an issue. Thanks for writing to us and reading our columns. The interest on the loan that is being reimbursed, in the transfer of title, is taxable ordinary income to the recipient even if there was no deduction for the interest as it was incurred. Moreover, the interest income should have been reported each year under some sort of an agreement that would satisfy the IRS imputed interest requirements.